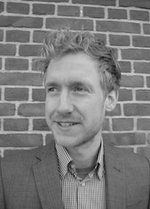 Thijs van Lindert studied Political Science, International Relations, and Sociology at the University of Amsterdam and participated in the Diplomatic Studies Programme at the Netherlands Institute of International Relations Clingendael in The Hague. Thijs has a particular interest in the complex processes that underlie globalization, the rise of the BRICS, global migration, cultural change, and conflict. He currently works for Amnesty International's Strategic Studies Program in Amsterdam. He is the co-editor of 'The Future of Human Rights in an Urban World' and 'Shifting Power and Human Rights Diplomacy: Brazil'.